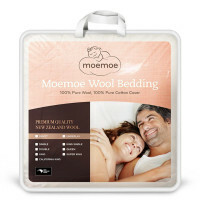 Proudly made in NZ, Moemoe premium 500gsm duvets are made in New Zealand using only natural New Zealand wool. 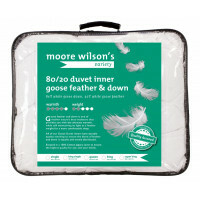 Our 500gsm duvet is recommended for those who like a warmer duvet. Lightweight and moisture absorbent, natural wool insulates and breathes, regulating your body temperature and keeping you cool in the summer and warm in the winter. The unique quilting in these duvets holds the wool in place providing constant overall warmth. 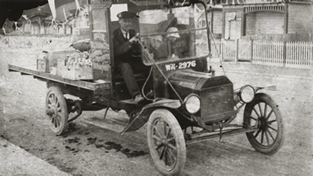 They are also resistant to dust mites, mould and mildew and naturally hypoallergenic. Perfect for a great night's sleep. 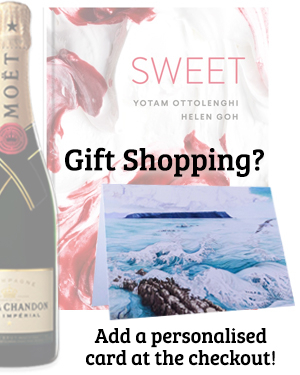 Founded by Melissa Stocker, to originally promote her own brand, Moemoe, the business has gone from strength to strength and is regarded as a leader in the industry supplying quality products.